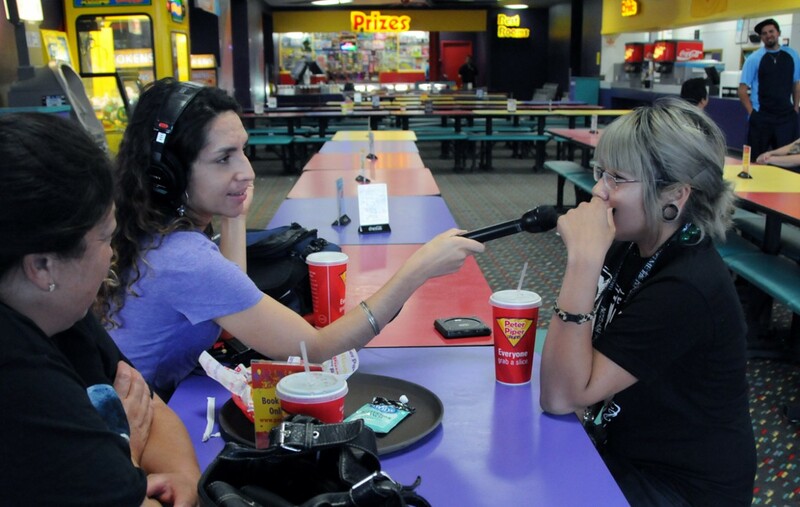 Fronteras Desk reporter Monica Ortiz Uribe interviews Cynthia Alba at a pizza joint in Las Cruces while Alba's mother, Soledad Pizaña, looks on. Hear Fronteras Desk’s report by clicking here. Cynthia Alba, 19, is a Mexican citizen whose mother brought her to the United States illegally when she was a child. Alba qualified for President Barack Obama’s Deferred Action for Childhood Arrivals program, which puts off deportation for immigrants brought to the United States illegally as children and lets them work legally. Her half-sister, Andrea Muñoz, 15, was born in the United States and is a U.S. citizen. The two talked with Fronteras Desk reporter Monica Ortiz Uribe about their reality. Muñoz, meanwhile, qualifies for Medicaid. New Mexico In Depth collaborated with Fronteras Desk on the story. Such reports are available to Fronteras Desk’s stations, including KRWG-FM in Las Cruces, KUNM-FM in Albuquerque and others across the Southwest. If you follow NMID’s work, you’ve met Alba before. We included her in a recent article about dreamers who are telling their stories to politicians and the public in an attempt to influence the ongoing reform debate in Washington. COMMENTARY: Today officially launches a journalistic project documenting the lives of the women in an immigrant family I’ve spent months getting to know. I hope you’re challenged and enriched by the experience like I have been.